Politicians should be challenged when they bring in new laws, especially when those laws are designed to manipulate history. When politicians do introduce these laws designed to manipulate history, we should all worry. The Polish President, Andrzej Duda, has recently announced that they will be introducing a law that will make it illegal to accuse Poland of any complicity in the Holocaust. The decision has been greeted with controversy as has the reasoning behind it. 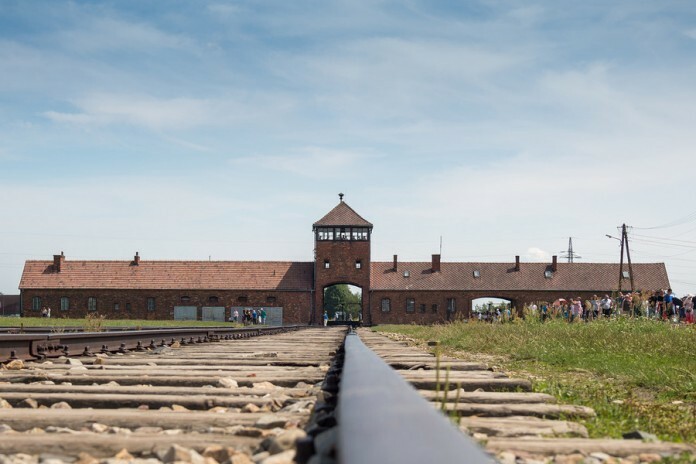 Whilst Poland may be the first to make a move, the problem is occurring in many countries – there has been a worrying upward trend in the denial of the Holocaust as well as political manipulation of the truth in order to benefit various groups. Poland was one of the heroes of World War II, however, are constantly blamed for the events of the Holocaust with many of the sickening acts committed ion their soil. This provides a legitimate reasoning for the introduction of the new law, aiming to “defend the good name of Poland” however has reverse effects. It instead criminalizes the talk around historical truths of the Holocaust thus potentially worsening the denial claims. The most commonly known ‘Nazi death camp’ built in Poland is Auschwitz, but the Nazi’s did also build additional ones in other regions of Poland. 3 million Polish Jews were killed during the Holocaust at these camps and the introduction of the bill will means that discussion of this could result in years of jail time. The law will shift the nation’s, and the world’s, attention to the fact that, despite the heroic actions of many of the Polish fighters during the war, there were many who turned to help the Nazi operations. The new law will highlight the wrongdoings of these individuals instead of praising the actions of the nation’s heroes. Whilst the move may seem counterintuitive and foolish, it is expected to have positive political results. The ruling party in Poland, the Law and Justice Party, are a right-wing nationalist party who have successfully eroded the notion of democracy and now found an issue that resonates across the nation. It is designed to exhibit a more “patriotic” feeling within the Polish people as the world complains and the party is able to promote its power in ‘defending’ it against the rest of the world. Many nations have already warned Poland of the potential repercussions should this bill remain. These most recent efforts, of which there have been many throughout history, to rewrite the history of the Holocaust is set to rear its ugly head as the events of Nazi Germany become an undiscussed topic. The potential for deniers to use this is undoubted and the worrying trend of deniers and political manipulation will only continue should this bill remain in play.